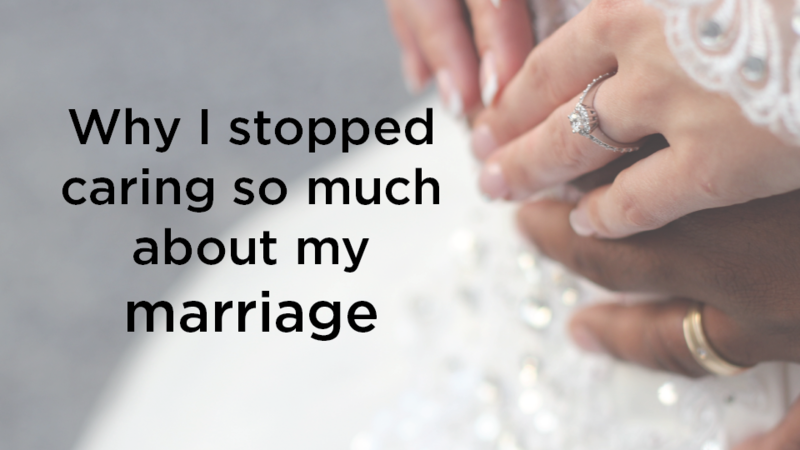 I recently found myself slightly obsessed and terrified about my marriage. I’m in a weird season with a ton of new marriages all around me mixed with a bunch of crumbling marriages in the lives of people I know very well—family members, friends, coaching clients. For better or for worse (pun intended), there’s a lot of focus on marriage all around me. All of this thinking about marriage, talking about marriage, and working on marriage totally rubbed off on me. Like a lot of people around me, I found myself ruminating about my marriage a lot. On top of that, I finally got around to reading a very popular book I’ve been wanting to check out called His Needs, Her Needs: Building an Affair-Proof Marriage. What if my marriage isn’t as good as I think it is? What if my husband is only pretending to be happy? Am I meeting his needs? Is he actually meeting mine? What do we need to do to make our marriage happier, better, stronger, more resistant to divorce or an affair? I even went so far as to print out an assessment for each of us based on the His Needs, Her Needs book. The assessment was for each of us to rate the importance of various needs in marriage and assess our spouse on how well they were being met. In other words, I wanted to identify all the areas that were lacking. I happened to come across a video on Facebook for another marriage book called You and Me Forever: Marriage in Light of Eternity. The authors presented a totally different approach to marriage that turned my obsession upside down. Instead of focusing all our effort in marriage on each other, they argued, instead of worrying so much about getting our needs met, meeting our spouse’s needs, and enjoying a blissful life of friendship, what if we focused our marriage first and foremost on how we could unite as a team to serve God? Duh, Diana. This was a game changer. I felt inspired and convicted. The truth is, there have been times in our marriage that did warrant a lot of focus on each other: when we first got married and moved in together, for example, or when my stress was so out of control it was majorly hurting not just me but my husband too. I realize there may be times in the future where this is necessary again. I’m sure the year after we have our first kid will require an extra dose of effort to keep our marriage healthy. However, that’s not the place we’re in right now. By God’s grace, our marriage is really strong, healthy, and wonderful. A good marriage comes pretty easily in the season we’re in. Sure, it’s not perfect, but will it ever be? If my marriage is one notch below perfect, is it a good idea for me to obsess over getting it to the very top of the peak of perfection? I know God created marriage and thinks it’s a beautiful thing, but I don’t believe God created marriage just for an earthly reason. Everything on earth, even things that won’t last beyond judgment day, is designed to point back to God and give him glory. Nature. Marriage. Everything. As a result of all this, I’m choosing to care less about my marriage in this season. Instead of looking horizontally at Kyle and focusing on the two of us, Kyle and I together are looking vertically to God and focusing on the three of us. I’m choosing to care less about a very good thing so I can care more about the best thing. Marriage doesn’t last forever; eternity in heaven does. I’ll take the eternal focus, please. I trust that the Lord will bless our marriage even if we put him above each other. Diana Kerr is a certified professional life coach for go-getter Christian women. 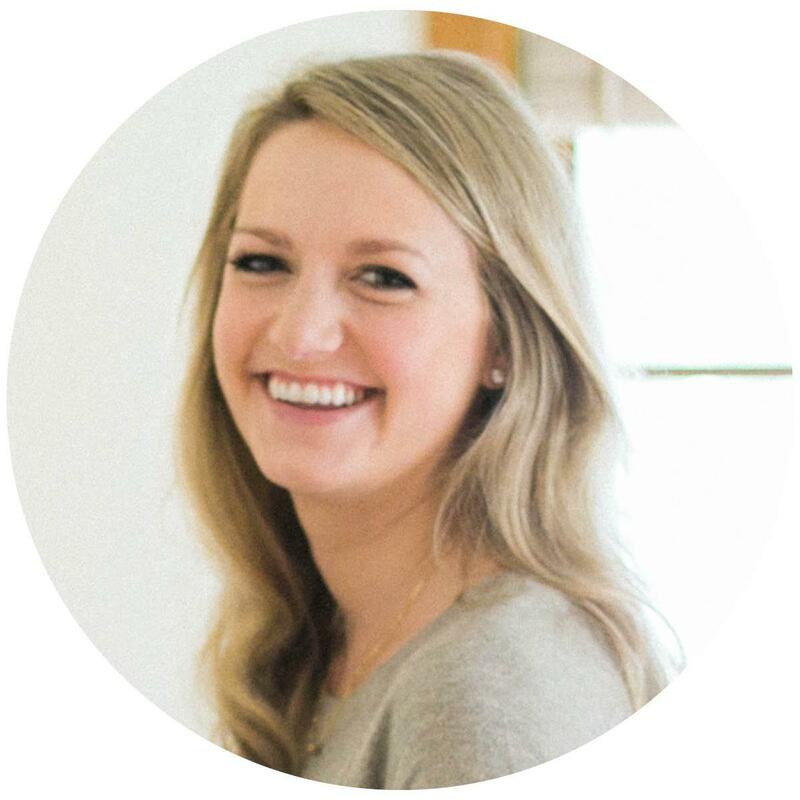 In September, she will celebrate five years of marriage to a husband who, praise God, does not naturally tend to overthink and overcomplicate everything like she does. Sign up here to get on Diana’s e-mail list for weekly tips and encouragement about living a bold, intentional life. For more encouragement from Diana and other Time of Grace writers, sign up here to receive free daily Grace Moments devotions in your inbox each day. Or click here to join Diana’s e-mail family and receive more content like this blog post.